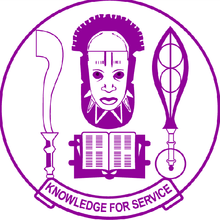 The University of Benin [UNIBEN] Internal Job Vacancy and Recruitment Advertisement for the Post of Bursar March 1st, 2018. The University Bursar shall be responsible to the Vice Chancellor for the administration of the University Bursary and coordination of the financial matters in the University. Applicants for the post of University Bursar must have, in the past, exhibited considerable degree of competence, responsiveness, demonstrable integrity and transparency on matters of Bursary/Financial administration and management. Applicants must be in good health and able to endure the rigours of the duties of the University Bursar. Also, candidates must possess the following qualities: vision, proven academic distinction, managerial ability, integrity and transparency in private and public life. In addition, candidates should have the ability to develop linkages with the external communities to support the emerging needs of the University, command respect and arouse cooperation and loyalty to staff and students of the University. The successful candidate shall hold office for a single term of five (5) years only but may upon satisfactory performance be extended by Council for a further period of one year (and no more) on such terms and conditions applicable to Federal Universities in Nigeria and as may be determined by appropriate University Laws and Governing Council.